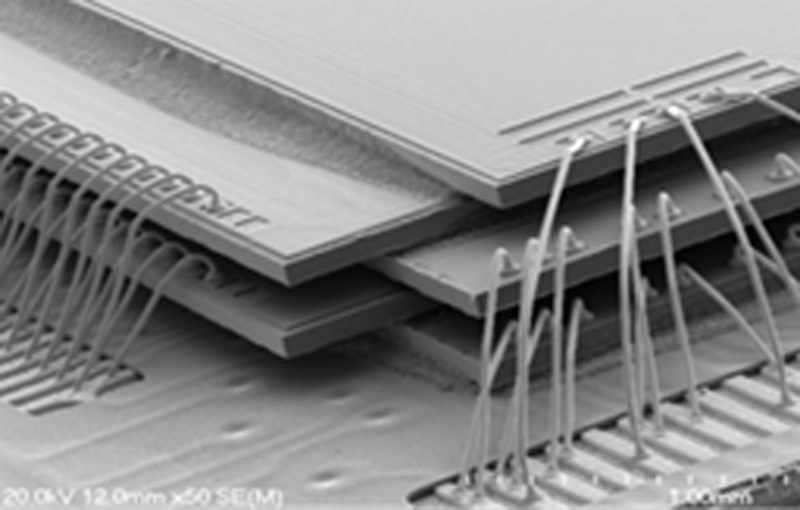 To meet the increasing demands for memory capacity and packaging miniaturization, ultra-thin (<<50 µm) dies are required. The capacity is obtained by die stacking, while the small thickness of the dies keeps the total height of the stack limited. Conventional blade sawing is not suitable for dicing of ultra-thin wafers with adequate yield. ASMPT offers the V-DOE laser dicing solution for thin silicon wafers. This technology combines a low CoO with a good mechanical strength of the dies.